RUMSON, NJ – Carolynn Diakon, Broker-Senior Partner and Resources Real Estate is pleased to announce that they have been chosen to receive the American Red Cross Clara Barton Humanitarian Award. The American Red Cross nominated Carolynn for this award because of her long standing commitment to the community and many nonprofit organizations such as Prevention First, the Monmouth County Mental Health Association, and countless others just to name a few. “We are extremely excited to present this award to such a strong woman who has given so much to the better the community,” said Kim Price, Event coordinator for the American Red Cross Jersey Coast Chapter. Resources Real Estate has been the drop off location for donations for multiple charities or disaster relief which were donated to Hurricane Katrina victims, 9/11 families and 180 Turning Lives Around plus many more. This year’s honorary Chair of the event is comedian Jon Stewart, Host of the Daily Show. The Annual Gala is being held on Saturday April 6, 2013 at the Spring Lake Golf Club. 4A West Front St in Red Bank, NJ. For more local real estate information or to inquire about a career in real estate, you can call 732-212-0440 or visit resourcesrealestate.com. Patrice Cicalese-Carden, sales professional with Resources Real Estate in Monmouth Beach, was named Agent of the Month for the month of December. Carden has consistently been a top producer for the company since joining them in January 2012 and led the company’s overall sales production for the month of December. Tammy Brindise, sales professional in the Rumson office, was presented with the Team Spirit Award for the month of December. The company places a high value on team cooperation and support. Resources Real Estate is a full service independent residential brokerage opened by Carolynn Diakon in 2000. Thomas McCormack, with the company since 2002, joined her as a partner in 2010. Resources Real Estate is located at 112 East River Rd in Rumson, NJ, 36 Beach Road in Monmouth Beach, NJ, and 4A West Front St in Red Bank, NJ. For more local real estate information or to inquire about a career in real estate, you can call 732-212-0440 or visit resourcesrealestate.com. Our downtown Red Bank office is accepting applications for energetic, motivated agents. Will train, no previous experience necessary. Internships available. Exciting opportunity for the right people. Call 732-212-0440 or email info@resourcesrealestate.com for more information. Red Bank, NJ – The arts are alive and well and growing in Red Bank– so much so that one local real estate company transformed itself into a gallery. Resources Real Estate’s newest office recently served as one of the venues for the Red Bank Art Walk, held on Saturday, November 24th, with an exhibit showcasing the work of celebrity photographer and Red Bank native Danny Sanchez. The show features photographs of notable musicians, artists, writers, and prominent professionals from the Red Bank area. The images are from Sanchez’s “Forty Faces” exhibition which was presented at Monmouth University earlier this year. “Resources Real Estate is honored to showcase Danny’s work and we encourage everyone to stop in to view the show and take a short break from this holiday season’s retail therapy,” said Carolynn Ozar Diakon, senior partner and broker of the company. The exhibit will remain throughout the holidays and into the new year. Also on display were portraits of Resources Real Estate’s agents who were all recently photographed by Sanchez as part of the company’s marketing and re-branding efforts. “Danny’s work with our agents is very special and we were eager to continue working together with this show,” said Thomas McCormack, Resources’ managing partner. Resources Real Estate’s new location at 4A West Front Street (at the intersection of Broad Street) is the company’s third in addition to its flagship office in Rumson and a branch office in Monmouth Beach which opened earlier this year. Resources Real Estate is a full service independent residential brokerage opened by Carolynn Ozar-Diakon in 2000. Thomas McCormack, with the company since 2002, joined her as a partner in 2010. Resources Real Estate is located at 112 East River Road in Rumson, 36 Beach Road in Monmouth Beach and 4A West Front Street in Red Bank. For more local real estate information or to inquire about a career in real estate, you can call 732-212-0440 or visit resourcesrealestate.com. Monmouth Beach, N.J. – Resources Real Estate is proud to be sponsoring the 2012 Monmouth Beach Scarecrow festival which will be held on Saturday October 20th starting at 1pm. Resources will be designing their own scarecrow display which will be part of the festival. Early this year Resources Real Estate expanded its operations in town by opening a new branch office located at 36 Beach Rd, to provide personalized services to home buyers and sellers in the area. Resources Real Estate is a full service independent residential brokerage opened by Carolynn Ozar-Diakon in 2000. Thomas McCormack, with the company since 2002, joined her as a partner in 2010. Resources Real Estate is located at 112 East River Road in Rumson, NJ, and at 36 Beach Road in Monmouth Beach, NJ. For more local real estate information or to inquire about a career in real estate, you can call 732-212-0440 or visit resourcesrealestate.com. RUMSON: The Lion is on the Prowl. At least so it appears in one local company’s new look. 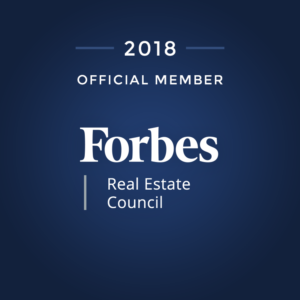 Resources Real Estate has debuted a new brand identity – featuring a lion’s head in the logo – to better communicate the values and message of the company. Continuing a successful thirteen-year history, the past year has been a period of rapid growth as the company doubled its sales. The sales boost was in part a result of opening its Monmouth Beach branch office, the company’s second location in addition to its flagship office in Rumson. Resources has also greatly expanded its agent roster this past year with both new and veteran sales professionals. Working with New York and Red Bank-based advertising agency Filter, the company’s revamped identity begins with a redesigned logo. Featuring a crowned lion’s head amid two opposing “R’s”, the new logo draws on the legacy of the company’s original logo while evoking a more sophisticated and established market presence. “The result is regal in feel,” said Diakon. “It’s grounded and solid.” The new logo is prominently featured on all of the company’s newly manufactured property signs, in all advertising and in marketing and collateral materials. In addition, the company has rolled out two new ad campaigns encompassing both brand identity and property inventory marketing, each developed by Filter Advertising. The ad campaigns have already been launched in many local publications including the Journals (Two River, Holmdel and Colts Neck editions), Two River Times, and The Link, and American Lifestyle magazine, as well as many ad publications for non-profits such as Holiday Express, Monmouth Conservation, Two River Antique Show, Lunch Break and more. The ads are also prominently featured on billboards at the Seastreak Ferry Terminal in Highlands to draw the attention of the NYC commuter audience and on Facebook. Resources Real Estate is a full service independent residential brokerage opened by Diakon in 2000. McCormack, with the company since 2002, joined her as a partner in 2010. Resources Real Estate is located at 112 East River Road in Rumson, NJ, and at 36 Beach Road in Monmouth Beach, NJ. For more local real estate information or to inquire about a career in real estate, you can call 732-212-0440 or visit resourcesrealestate.com. Kathryn Grabowy, sales professional with Resources Real Estate in Rumson, was named Agent of the Month for the month of September. Grabowy has consistently been a top producer for the company since joining them in July 2002 at their Rumson office and led the company’s overall sales production for the month of September. Vanessa Dooley, sales professional in the Monmouth Beach office, was presented with the Team Spirit Award for the month of September. The company places a high value on team cooperation and support. RUMSON, N.J. – What do you call an internet resource system that keeps all the transaction files, marketing and showing feedback all in one place? “At Resources, we fondly call it ROAR, which stands for, Resources Order and Reference. We picked that name out of several suggestions from the agents, but we liked it because of the reference to our lion logo!” stated Carolynn Ozar-Diakon. Resources is continually known as a leader in cutting-edge marketing and technology. Certainly now with the launch of ROAR’s new online client resource center. This transparent file is available for the client to see 24/7 and takes any potential mystery of the marketing efforts. ROAR updates the client in sales, marketing, technology, real estate current comps, showings and showing feedback; company news, and market trends. Everything and anything pertaining to the file from start to finish is posted in the file for clients to see. From copies of advertising, to website advertising information, updated market analysis to the contract and inspection documents for a purchase. It was a natural progression from our ongoing position that an educated client is a smarter client. We strongly believe that part of our responsibility is to keep the client updated, and with today’s technology it became a smarter way still to open up our client files directly to the client on the internet. Obviously password protected for privacy, not only is the information posted every time the file is updated in any way. Once it is entered, the system automatically contacts the client to let them know. Our clients love it. We already had a great reputation for our integrity and this just takes it a step further. We make it easy and transparent for our clients – even before the system which we tested extensively, our clients never had to wonder what was going on, but now they get an entire overview anytime they want. Carolynn Ozar-Diakon opened Resources Real Estate, a full service real estate company in 2000. Thomas McCormack, with the company since 2002, joined her as a partner in 2010. Resources Real Estate is located at 112 East River Road in Rumson, NJ, and at 36 Beach Road in Monmouth Beach, NJ. For more local real estate information or to inquire about a career in real estate, you can call 732-212-0440 or visit resourcesrealestate.com. 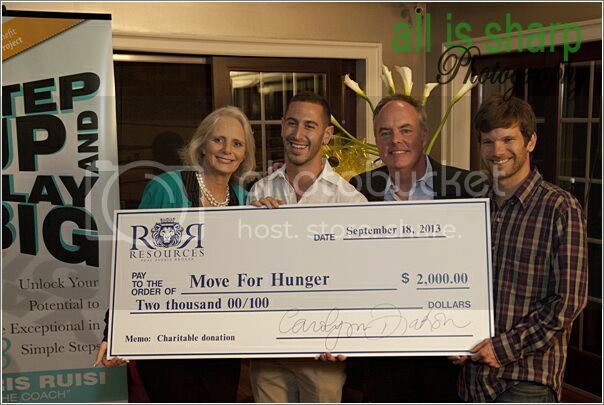 RUMSON, NJ – Move For Hunger is proud to announce that Resources Real Estate is now a Signature partner of Move For Hunger for 2012. Resources Real Estate offers full service marketing and listing for both buyers and sellers throughout Monmouth County. The support of Resources Real Estate helps Move For Hunger to continue the fight against hunger and spread awareness of the growing hunger problem in New Jersey and across the United States. The continued support of partners like Resources Real Estate, allows Move For Hunger to make an impact for the millions of Americans struggling to find their next meal. For more information Move For Hunger, and the support of our partners please visit www.MoveForHunger.org. Move For Hunger is a non-profit organization that works with relocation companies across the country to pick up unwanted, unopened food from those who are moving and deliver it to local food banks across the country. To date, Move For Hunger is working with over 325 movers in 42 states and has collected more than 670,000 pounds of food. For more information or to find out how you can help support Move For Hunger, visit www.MoveForHunger.org and make an online donation to help our hunger relief efforts.